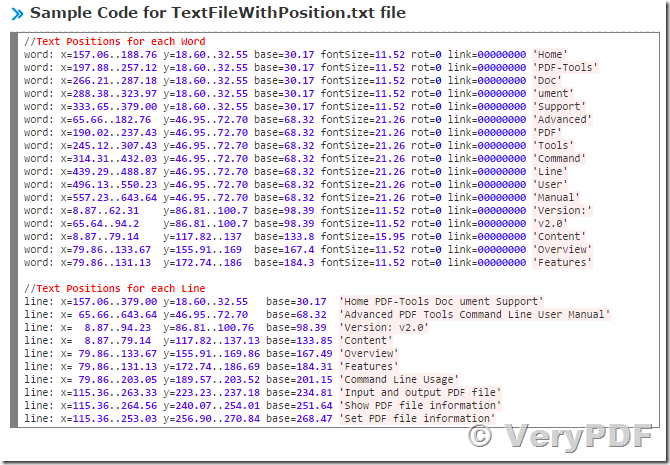 I already have bought VeryPDF to Any Converter and I would like to evaluate pdf-extract-tool. I am interested in the text position functionality. I have downloaded it but can't get it to work. This entry was posted in VeryPDF SDK & COM and tagged extract text position, pdf to text. Bookmark the permalink.